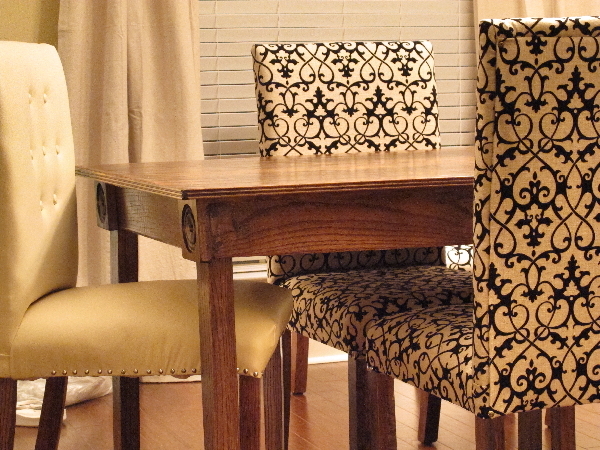 Lazy Liz on Less: DIY Dining chairs - finally finished them! I can't believe I finished all the 8 chairs! I thought I will be buying my dining chairs. 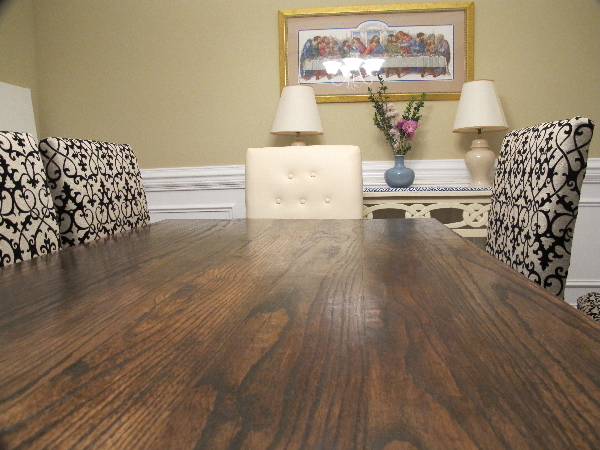 I am very happy and proud of myself for finishing every single project that I started for my dining room. - Start by putting the webbing as shown. - For the seat cover corner, cut the corner as shown. Do the same with the bigger chair. - For the back cover, cut slits. -Tuck the middle part in. - Fix the back corner by tucking the side and fold over the middle part to get this look. 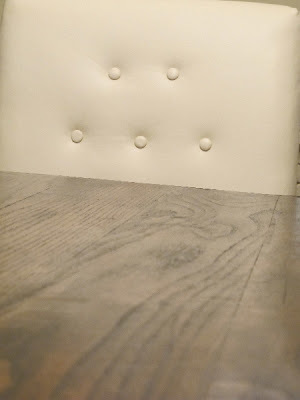 -Use decorative tacks to attach the lower back of the cover. - And the front part for stronger hold. Put the back cover using hidden metal tacks strip. -Make the buttons for the large chair as directed on the package of the button maker. - Mark where to put the buttons. - Put buttons using nylon thread. -Use scraps for the back to prevent the thread from going through. It's that easy and you got your cute buttons! - Put decorative tacks on the lower side if desired. Love these!!! How much would you say supplies cost to make them? For all eight chairs, I remember looking at all my receipts (after Lowe's and Hancock Fabric) totaling around $275 (Wood and finish not included as I already have them). How much fabric did you need for 8 chairs? Thank you Marina, that would help a lot. What a beautiful and professional looking job you did on the chairs! 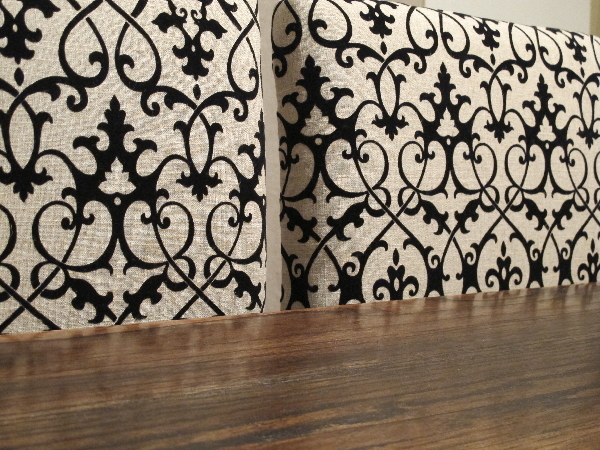 Seriously, it would be costly to have these chairs covered other than doing them yourself. BRAVO on such a nicely done project. They look really nice in your room, too. If I can do half as good on the chair I am attempting to do now, I will be happy. 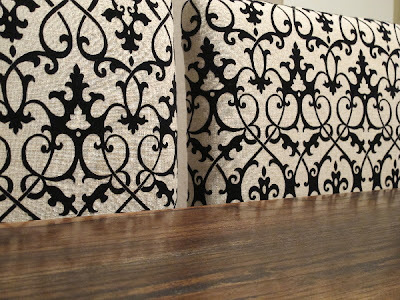 I can find the directions for upholstering the chairs but not for the chairs themselves. Did you build the chairs too and if so, do you have directions? They look great! I am not sure how you covered the "back" of the chairback. I see how you did the front back but not the outside portion. 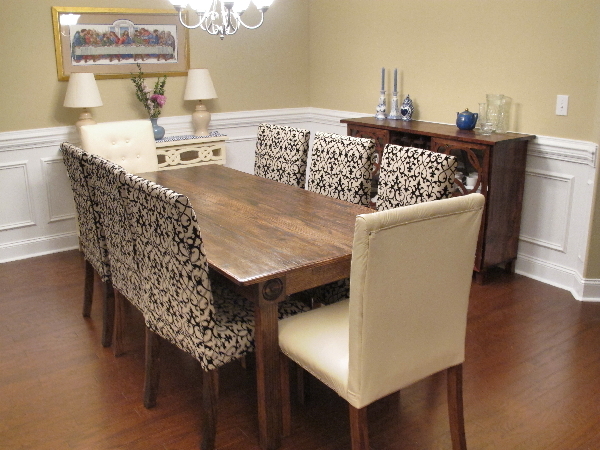 I have slate back dining room chairs and want to reupholster the seat and upholster the slate back chair. how did you do back and from of your chair. Stunning! Great, amazing idea!! I was considering replacing our extremely uncomfortable chairs. With your post, I can redo and save them!!! Is there a spacial type of “webbing”? I went out online and found several different kinds. Never used anything like this before.